Easy-to-use Subscription management that eases up your subscription management. 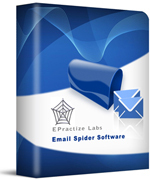 With Subscription Manager you can create subscription forms, maintain subscription messages, send confirmation message automatically, configure the subscription forms, load subscribers list, View reports, integrate with Email Marketing Software to manage contact list and campaign management. .
Start your Email Marketing by EPractize Labs Subscription Manager with step by step instructions today to improve massive traffic to your site. Manage Subscription Form - Configure the Subscription form with your own header and footer messages. Manage Communication - You can configure the subscription mail messages for Confirmation message, Subscription message and mail subjects respectively. You can also configure the email subject for unsubscription. Customize Subscription process - If you want the user to confirm the subscription, you can configure the subscription steps accordingly. Download Subcription code - You have different options to use Subscription form.